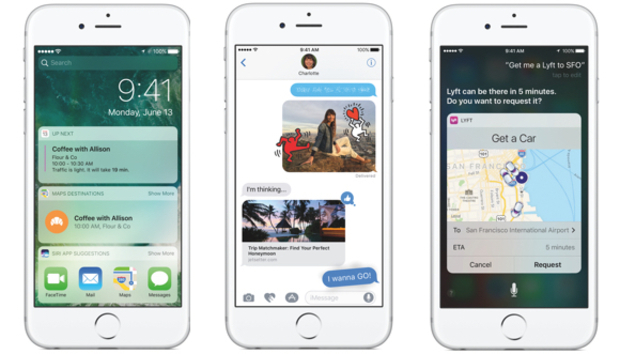 We’re just two developer beta releases into iOS 10, and Apple is already pushing a prerelease version of its next-generation iPhone software into the wilds of public testing. The public beta rolls out today, and it’s open to everyone. You can sign up for the beta program here. Apple started letting the public into its iOS beta tests last year. Before iOS 9, you had to be a developer (and pay $99 for a yearly developer subscription) to test drive prerelease versions of iPhone software. The whole point of the public beta is for Apple to get feedback about bugs from a wide variety of regular folks who are interested enough (and brave enough) to be guinea pigs. The iOS 10 public beta will install the Feedback Assistant app on your iPhone, which you can use to send notes directly to Apple. Important things to note before you go all in with the public beta: Beta software is just that—it’s beta. Things might go wrong. You won’t be completely out of luck if, for some reason, the iOS 10 beta totally messes up your phone. (I’ve been using the developer beta of iOS 10 on an iPad Pro and have zero problems, but your mileage may vary.) Before you even attempt to install the beta, back up your iPhone to iCloud and iTunes. That way you can reinstall the previous operating system and restore your data from a backup if there are any problems. And don’t worry: You won’t void your iPhone warranty by beta testing iOS 10. And when the shipping version of iOS 10 is released this fall, you can easily install it via Software Update like you normally would. Obviously, you probably don’t want to beta test software on the device you use every day. Let us know if you plan to sign up for the public beta, and share your initial thoughts about iOS 10 in the comments.